Today I found out the creator of the Nike “swoosh” logo was originally only paid $35 for it. It was simply by chance that Davidson met Knight at all. She was in the middle of a conversation with a fellow student in the graphics design department explaining that she didn’t have enough money to take an oil painting class. Knight overheard and later approached her and asked her if she’d be interested in doing some graphics work for his business, offering her $2 an hour for the gig (about $14 per hour today). Davidson accepted and began doing various freelance jobs for Blue Ribbon Sports, mostly making charts and things of this nature. A few years later, Knight decided it was time to take his business to the next level, moving away from being just a U.S. distributor of Japanese running shoes and, rather, producing and selling his own shoe lines. Oh, he loved Adidas. That was part of my problem. He loved the Adidas stripes, he loved them. Well, when you really love something, try to get somebody to look over here at something different. Somewhat disappointed at his reaction, Davidson asked for time to perfect the design, but Knight said no. She then submitted her invoice of $35 (about $195 today). One might think she was ripped off for the work, considering the logo she created went on to become one of the most well known in the world. However, Davidson didn’t see it this way as she was happy with the wages at the time and had agreed to make the logo for that amount, so fair’s fair. The fact that it became world famous was simply a nice feather in her cap. However, this is not the end of the tale. 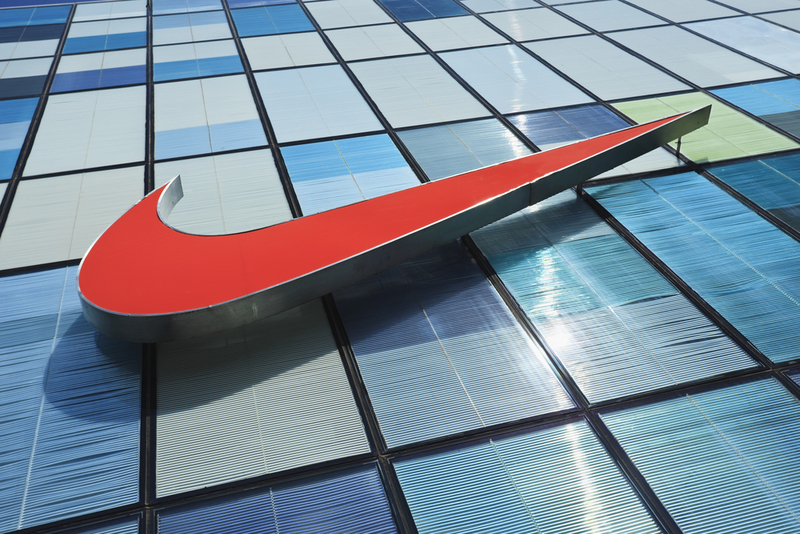 For starters, after leaving Nike in 1975 (she had been given a job there after graduating from college in 1971) she went on to freelance and being the designer of the Nike logo certainly helped her acquire clients over the years. A more direct benefit happened in 1983, a few years after the company went public. Knight decided to honor Davidson for having created the company’s logo and for her early work with Nike, so invited her to lunch, which actually turned out to be a surprise party in her honor. At the party, he gave her a gold ring that had the swoosh on the top with a diamond in it. But this wasn’t the big payoff. He also gave her, according to Davidson, 500 shares of the company. “Nike” is the Greek goddess of victory, strength, and speed, the daughter of Styx and the Titan Pallas. In the beginning of his shoe selling career, Knight sent some samples of the Tiger brand running shoe to his old track coach, Bill Bowerman, to get his thoughts on the shoes and perhaps get some of Bowerman’s students to wear them. Bowerman was impressed and asked to become a partner in the new company, Blue Ribbon Sports, which was officially founded on January 25, 1964. They started out by buying 300 pairs of the shoe and selling them out of Knights trunk. They also began experimenting on the shoe, to try to make improvements, with Bowerman’s track team serving as the guinea pigs. Before Nike took off, jobs held by Knight included an accountant at Coopers & Lybrand, as well as Price Waterhouse, and then an assistant professor at Portland State. As verified by the link below, my interpretation was correct on watching the video that you are mispronouncing Nike and Adidas.